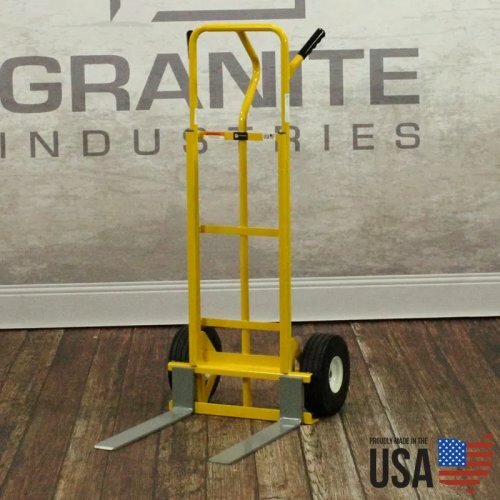 Use this sturdy and dependable fork hand truck for a full day's work, then just remove forks for easy storage. 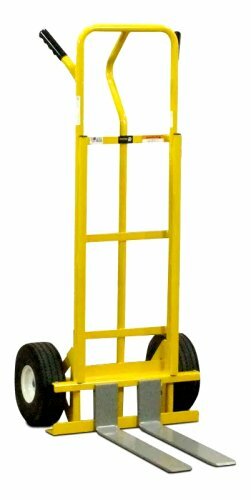 This truck is very popular and incredibly useful for moving bags of feed, items on mini pallets and large oversized items. 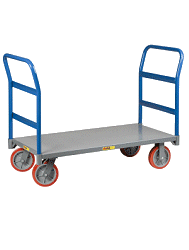 The adjustable forks allow for multiple moving applications. 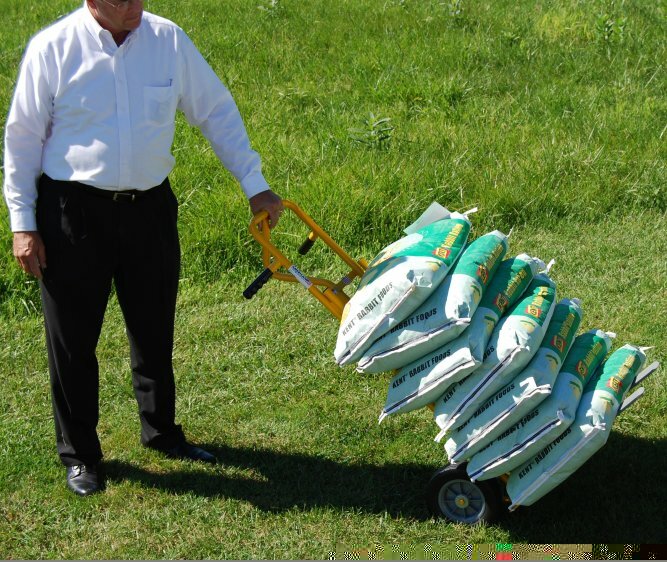 Heavy duty yet easy to handle. Dual handles for ergonomic moving. 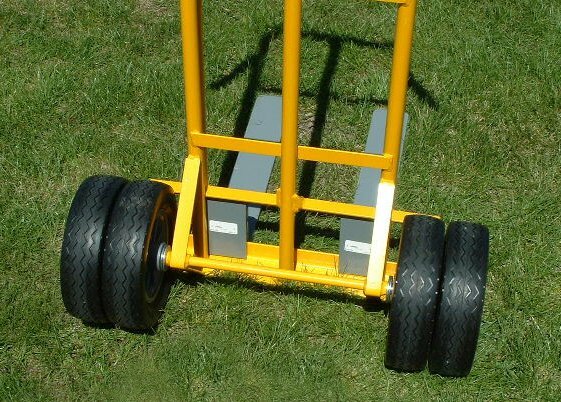 Powder coat finish protects the hand truck from the elements. 10" No-Flat wheels ensure you will never have a flat tire again. Made in the USA. The order I placed was delivered in a timely manner and the person who took my call was a pleasure to deal with.I would recommend your company to others who are looking for a similar product. Love my hand truck with the forks, so helpful with moving grain bags and shavings. A must for a randh! 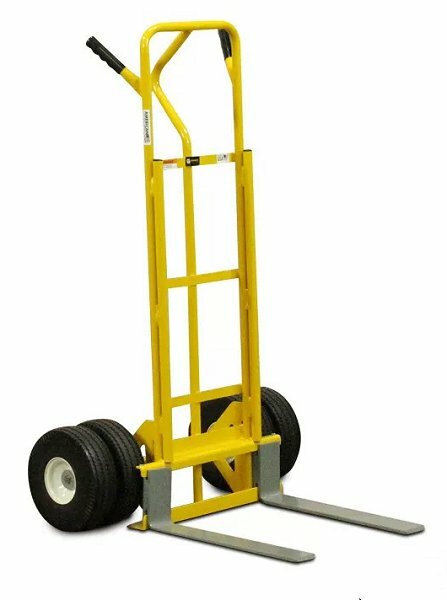 Needed a small pallet mover and the Fork Hand Truck was what we needed. Love the hand truck. Solid tires and handles are great. On plastic Mini pallets used for stock feed, the forks were about 3 too long for our application. When we would bump and drop a pallet against another, the forks would tear the sacks being bumped against. 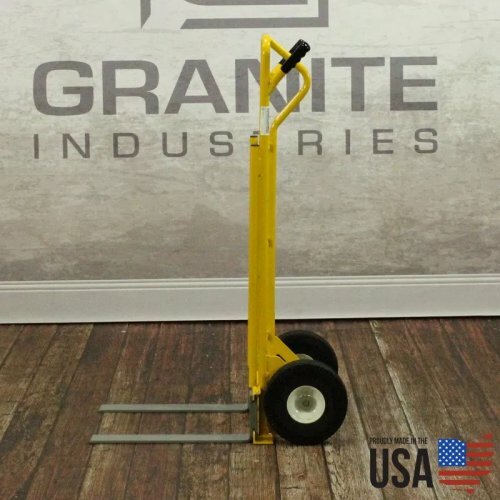 After we cut down the fork length, work great. .
We needed a hand truck with a large base plate to move some bulky items. This unit has the reach to do the job. The width of the forks is adjustable as well. Thank you Hand Trucks R Us! 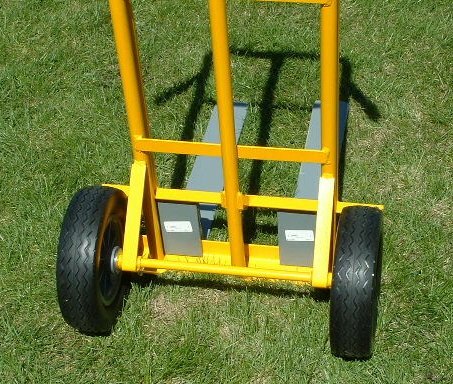 I love my new fork hand truck! I am a 54 year old woman and I am building a patio using large tumbled slate stones. 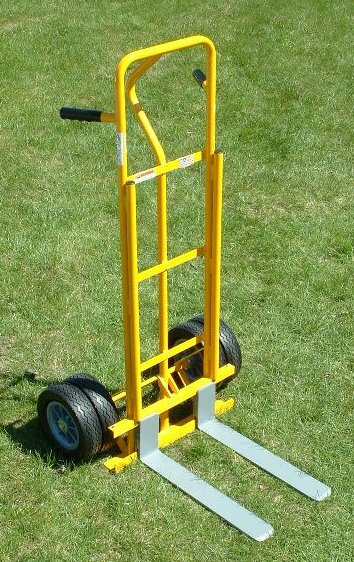 The fork hand truck has been invaluable in handling and placing the stones. I am able to maneuver 100 lb. plus stones without assistance. I know I will find many uses for the hand truck when this project is complete. Really like it. It's perfect for moving really large pots with dirt and plants in them.